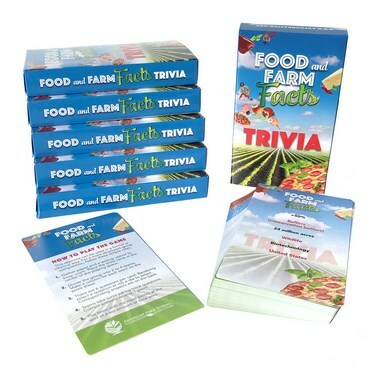 With more than 250 questions and 46 front & back playing cards, the new Food and Farm Facts trivia card set brings a popular game element to important national agricultural statistics. In a classroom or living room, these cards will test your knowledge about production, sustainability and nutrition! Cards are aligned to the 2017 Food and Farm Facts.